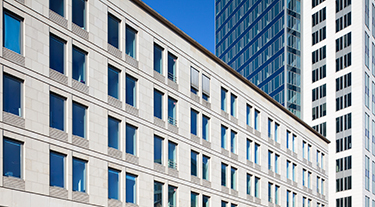 Warburg-HIH Invest designs and realises solutions that enable German and international clients to invest in real estate on all major markets, using standard investment vehicles. The development, implementation and management of the investment solutions is handled by the various areas of expertise of Warburg-HIH Invest, effectively covering the life cycle of a given property end to end. In-house experts ensure the proper implementation of all investor and product specifications, from product development and research, to fund and transaction management, and all the way to treasury and structuring. In addition, clients take advantage of the extensive real estate services of the HIH Group. The fund managers of Warburg-HIH Invest are responsible for the holistic management of the real estate portfolios/funds and their performance. They serve as central contact for our institutional investors. Our team supports institutional investors in the administration and management of their entire indirect real estate investments as well as in the selection of suitable target fund managers. In doing so, it sees itself as independent advisor and one-stop service provider, offering deliverables either as selected components or as all-in package. All real estate business decisions are based on in-house research analysis. The data is part of every stage in the investment process of Warburg-HIH Invest and represents a key component in all investment decisions. The product development unit is responsible for developing need-driven, flexible solutions that live up to the requirements of dynamic markets and bespoke investor requirements. The transaction management covers all buying-and-selling processes as well as the control and execution of the associated due diligence processes (pre-acquisition and pre-sale audits, supervision of third-party service providers). Solution-driven design of fund products and investment structuring, using any standard vehicle. Being an integral component of the fund management, the treasury management is responsible for all financing aspects of the properties throughout their holding period.